Climate Change has and will continue to effect productivity, health, and safety in the work place. This guide looks at reports by educational experts on excessive heat exposure in industries such as factory work, agriculture, or farming. In January 2016 the World Meteorological Organization confirmed the global temperature has increased by 1 degree Celsius. Climate change is amongst the root causes of environmental migration, which was recognized at the UNFCCC Paris Agreement. Rising heat in workplaces has become a significant concern for individuals working outdoors or indoors without climate control. Working in excessive heat creates occupational health risks and reduces labor productivity, these work environments lead to severe dehydration and in extreme causes, result in death. Vulnerable communities facing challenges with thermal conditions creates a barrier in achieving sustainable development goals related to poverty. This paper provides possible policy recommendations and adaptation strategies to respond to these challenges. When the weather is too hot, people work less effectively out-of-doors, in factories, the office due to reduced ability for physical exertion and for completing of mental tasks. Levels of heat in tropical locations are high; hot day and hot hours affect all workers operating outdoors or in non-climate controlled conditions. 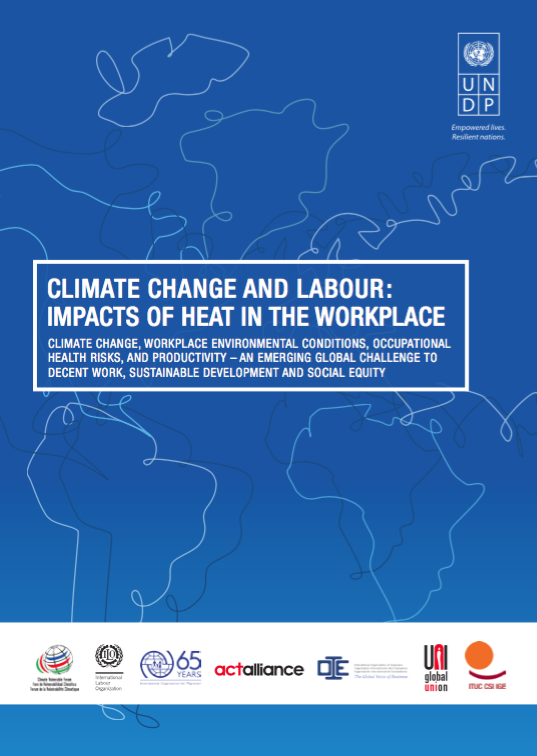 Countries such as Bangladesh, Cambodia, Vietnam or Burkina Faso lost approximately 2-3% of the entirety of available daylight work hours due to extreme heat.